A perfect January day in Florence, Italy. I am home from a two week adventure in Italy, complete with Christmas trees, “Planes, Trains and Automobiles” style adventures, and finding those lost shadows, and romance for the soul. So many handsome men, so many cute dogs, SO MUCH ART. And coffee. Oh the coffee. I’ll be posting my stories soon. But I’m back for 2018 with new features, new blog posts, new insights on parenting, relationships, elders, tall tales, and critters. When we arrived home around midnight this morning we were greeted by rain and the sound of millions of frogs. It is always good to travel, but it is good to be home. Sometimes we have to be with people we don’t want to be with. They’re annoying and offensive. They’re boring. They’re loud. They’re weird. Unfortunately sometimes you end up traveling with them in the back of a car or in the front, but you end up with them, stuck for miles and miles and hours and hours. 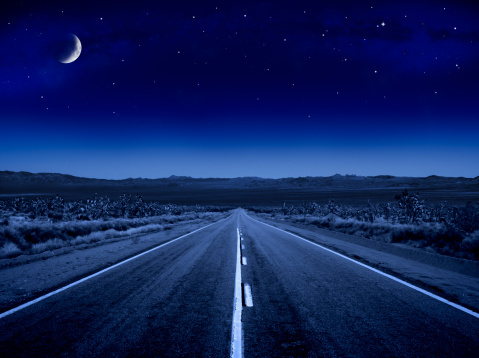 Sometimes that is the time to sleep but then again, you don’t want to close your eyes for a second just in case the car they’re driving turns down a dirt road and the next thing you know you’re three states away from where you’re supposed to be. Or sometimes you’re going where you should be but they are there, talking to you, looking at you, insulting you or just existing next to you. One has to learn how to deal with these situations with courtesy and grace least something very bad happens. A lot of my phobia of not being in control is due to the lack of control over transportation and being stuck with people I don’t want to be with. I’m a stinker when it comes to having my own car and having control over where I go and who I go with. Yeah, right, you wouldn’t think a Vampire would be saying that. I did the happy mom dance last weekend because 18 year old Garrett had come home from college for a few days. He hitched a ride with some other students and drove back with his cousin Logan who’d come up earlier in the week. The ride north was one of those 8 hours of Hell events. In a cramped 1999 Ford Explorer five college students and a dog made the trip from the university on the coast to home. Garrett found his ride through friends of friends in his dorm who just happened to be driving up for the weekend. He offered gas money and to take a turn driving. The driver was a kid named Ace who seemed alright. He was a little hyperactive and bouncy. His friend Hayden was one of those uber negative types who knows everything. Hayden was wearing a hot pink shirt under a black leather jacket. It seemed odd enough to Garrett for him to mention it to me. In the back seat with Garrett were two girls named Alexis and Breanna. That is usually a good thing, sitting with girls, but they both started off negative. Alexis had mousy brown hair that hung in her face and wore and oversized plaid shirt and cargo shorts. Her fingernails were bitten down to nothing and she smelled like ripe bananas. She also had three silver hoops piercing her left eyebrow. Breanna was tall with white blonde hair and blue eyes. She could have been pretty except for the nasty smirk on her face and constantly pursed lips covered in unflattering red lipstick and Cleopatra eyeliner. At a stop a couple of hours into the trip Garrett stretched his legs and walked around. The only positive thing was the fact that they stopped for a snack and caffeine so Garrett was able to get a big cup of Zen tea. He walked off and left her alone. A few minutes later Breanna stomped over and got in his face. She was almost as tall as he was and almost growled at him then pushed his shoulder. “You made Alexis cry,” she said. “That’s on her.” He ignored the push. Garrett started to walk away but she grabbed his arm. “Like we’re not?” Garrett hates an insinuation that he isn’t normal. “Bite me,” she spat out at him. “I’ll pass. Do any of them know, you know, about us?” He knew she’d know what he was talking about. He went back to the car and offered to walk Ace’s dog around the parking lot. The dog was nice. He was a rescue dog, a three-year-old lab mix who was going to a new home with Ace’s aunt. For the next six hours he was able to sit next to the window with the dog on his lap. The rest of the group debated and bantered about everything under the sun and moon, all with a pretentious negative twist. The general attitude was that everything was stupid. They talked about Lord of the Rings in great detail. Garrett wondered if he’d even read the same books or if they’d read the books at all. Someone brought up Narnia and religion but thank God that conversation ended quickly. They talked about Zombies, then on to other paranormal activity and creatures (like Vampires and Werewolves.) Breanna gave Garrett a poke. It was one time she didn’t say anything to the others. Before that he didn’t think the girl could shut up. She changed the subject to surfing. Garrett was interested until they all started to talk about a group of buffed guys who surfed at night and how stupid they were with all of their posturing and showing off. That would be Garrett and his friends; only his traveling companions didn’t know that. Garrett wondered how any of them got into college and what the Hell they were doing at his college. Ace was excited about everything and occasionally said something to Garrett to try to bring him into the conversations. Hayden and the women were just negative. Garrett tuned it all out, or at least tried to. I didn’t try to put a positive spin on it. Sometimes you’re stuck with jerks and you just have to ride it out and be the better person. Garrett said he’d seen Ace that week in class. He said Ace was ok, but he didn’t want anything to do with the others. Garrett’s best friend Randy told a friend, who told Clara, who told me, that Alexis had a major crush on Garrett but she also thought Garrett was a turd. I didn’t pass that on to my son. And remember… hug your kids, listen to them, laugh with them, then hug them again.